Egypt Travel representative will pick you up from your hotel in Cairo to enjoy El Fayoum famous sites. From Cairo to Fayoum is about 95 km. 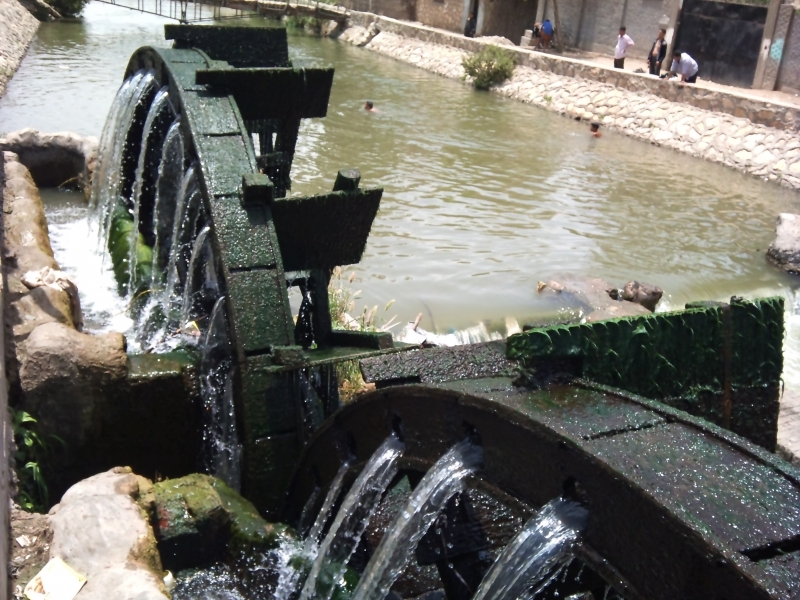 We will start with The Water Wheels which are said to be running since the Ptolemaic era. Then enjoy Lake Qaroun where you can see different kinds of birds. Qaroun Lake is considered the oldest natural lakes in the world, the third largest lake in Egypt and the rest of Lake Old Moerisi. You will have lunch at a good quality restaurant. Then onto Wadi Al Rian Water Falls. Wadi El Rayan is a natural depression located in the western desert, 42m below sea level which consists of two lakes connected by Egypt’s only waterfalls, formed in 1970 by an overflow of drainage water from the farmlands in Fayoum. After that enjoy Medinet Madi (Ancient City Uncovered) which dates back to the third pharaonic dynasty built by Emnemohoteb III and completed Emnemohoteb VI. Then continue your tour to Wadi Hitan (Valley of the Whales). Overnight Camping at Wadi Hitan. After breakfast, early morning visit Wadi Hitan or Valley of the Whales is located in the Protected Area of Wadi El Rayan and it was designated by UNISCO as a world Heritage Site in recognition of the 40 million year –old whale skeletons found there. On the way visit Mudawara Mountain. After that transfer to Qasr Qaroun about 55 km North West of Fayoum City. It consists of the well-preserved temple and remains of the Graeco Roman City of Dinysios. Then onto Karanis which is the ruin of an old city. That city contains a number of monuments, dating from the Roman, Coptic and Early Islamic. Back to Cairo and overnight.